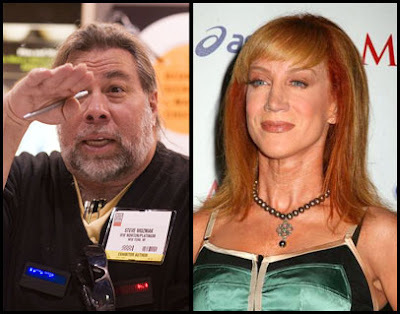 Woz is dating Kathy Griffin, the comedy gal. See here. And here. What can I say? It’s all part of this trend of Hollywood babes coming up to the Valley looking for rich nerds. Gentlemen, start your engines.